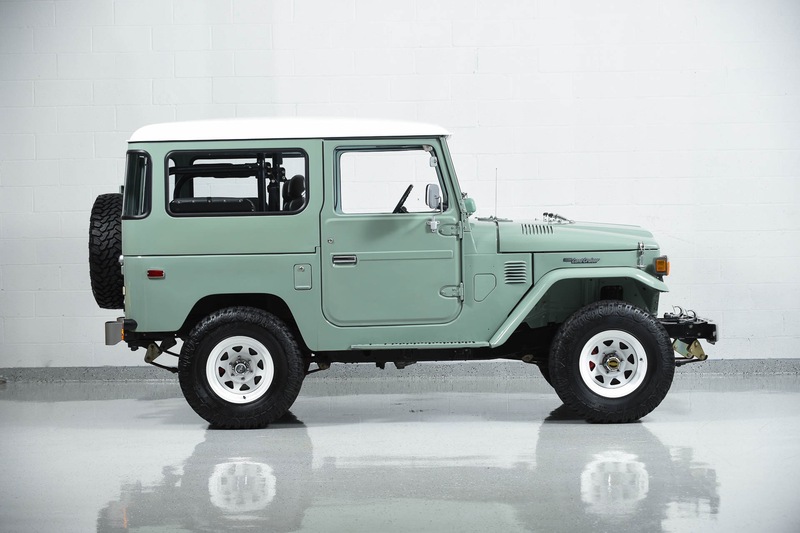 1977 Toyota Land Cruiser FJ40 for sale. 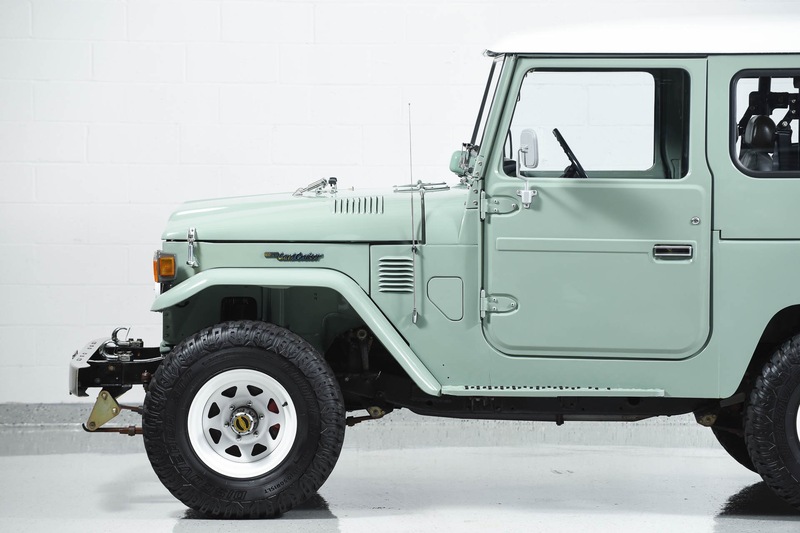 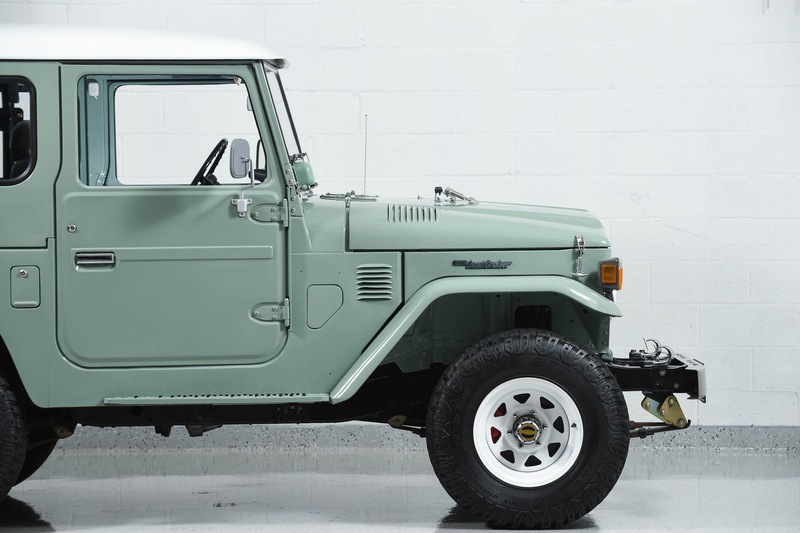 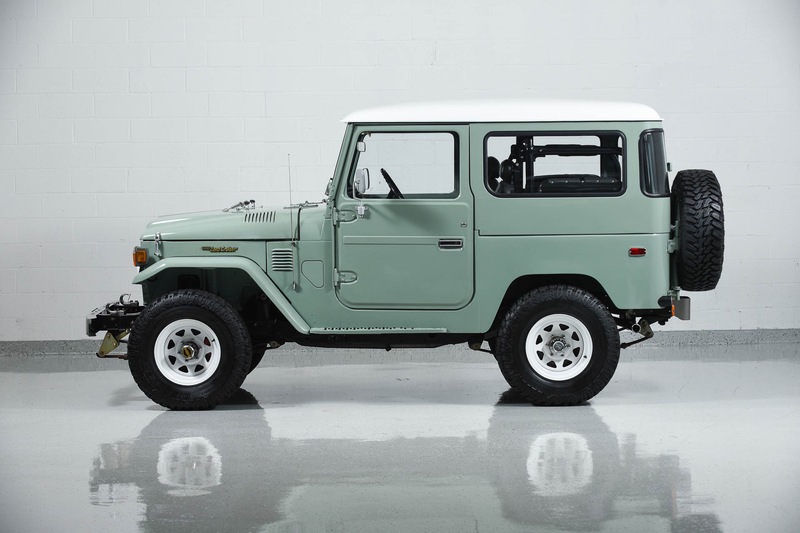 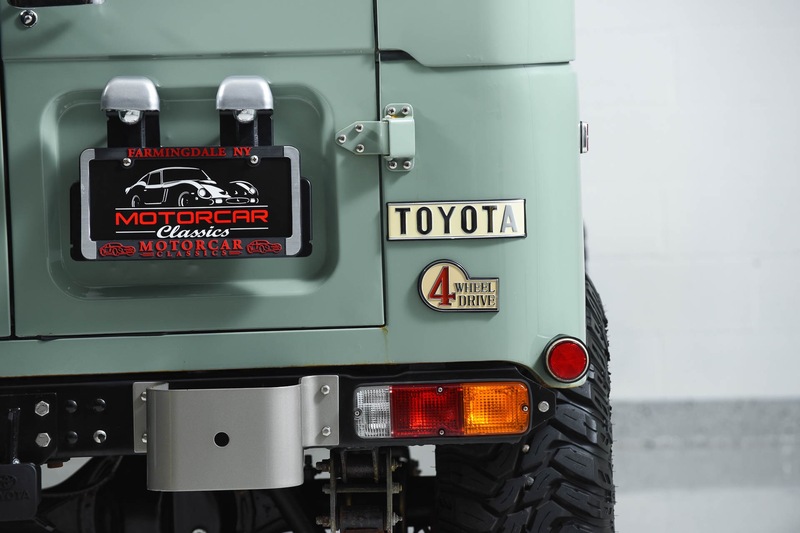 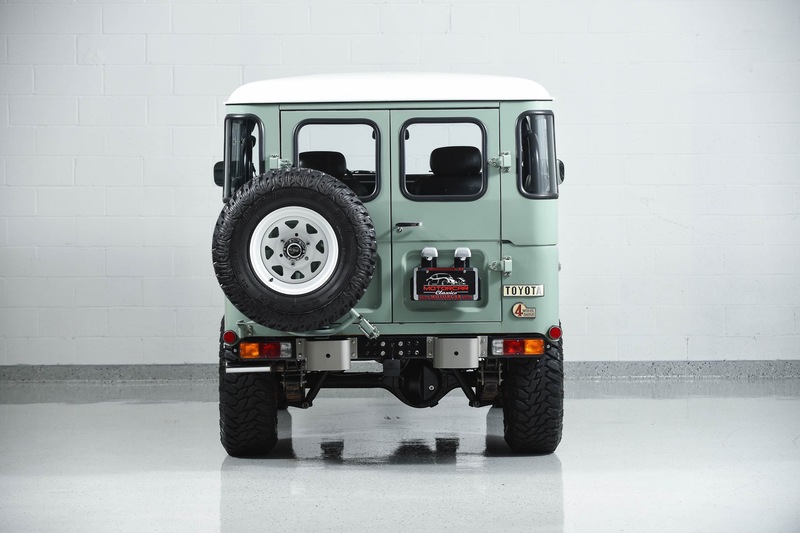 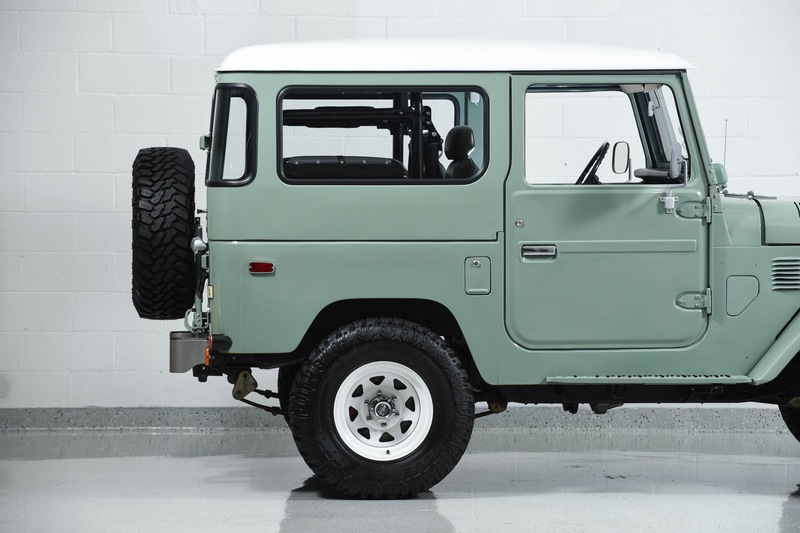 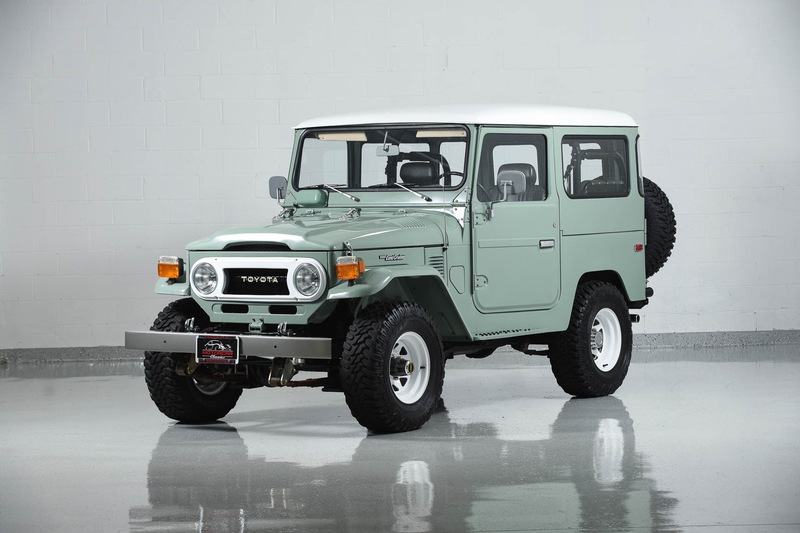 Motorcar Classics is pleased to present this legendary 1977 Toyota Land Cruiser FJ40. 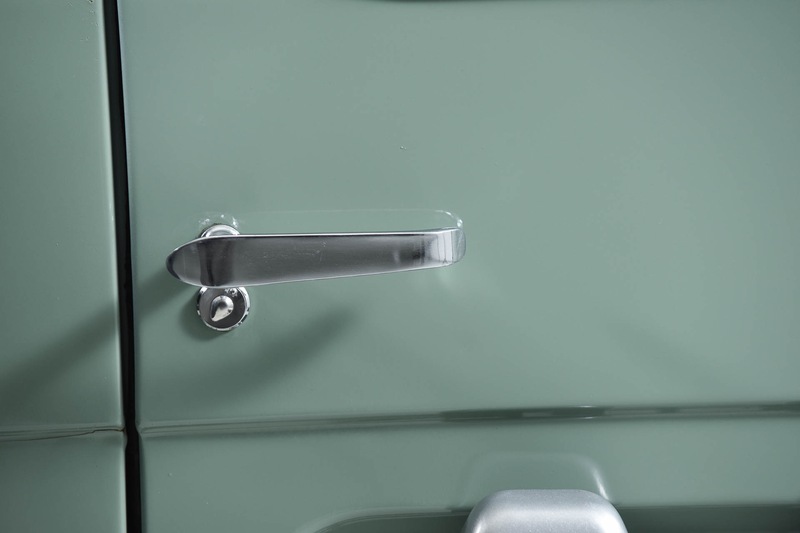 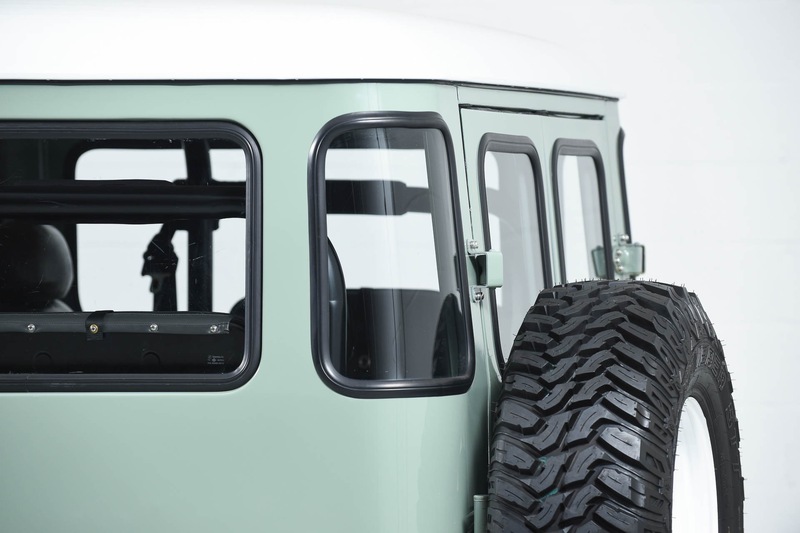 This outstanding SUV is finished in Green with Black interior. 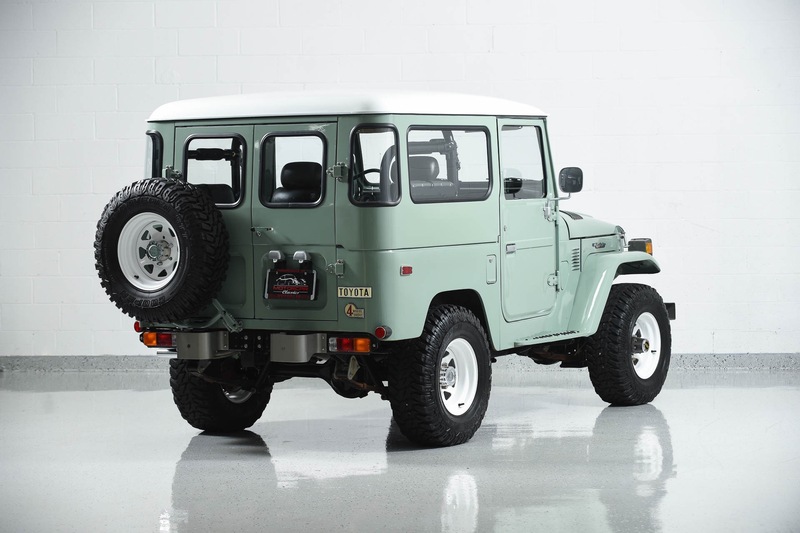 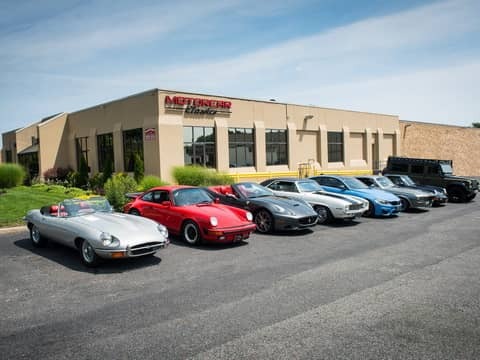 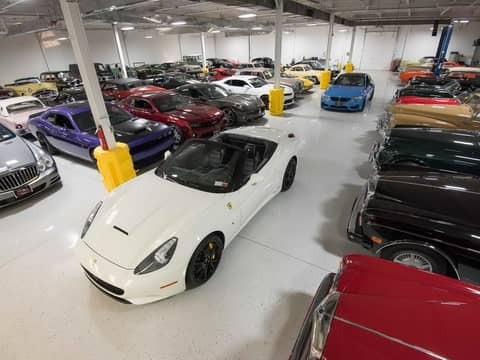 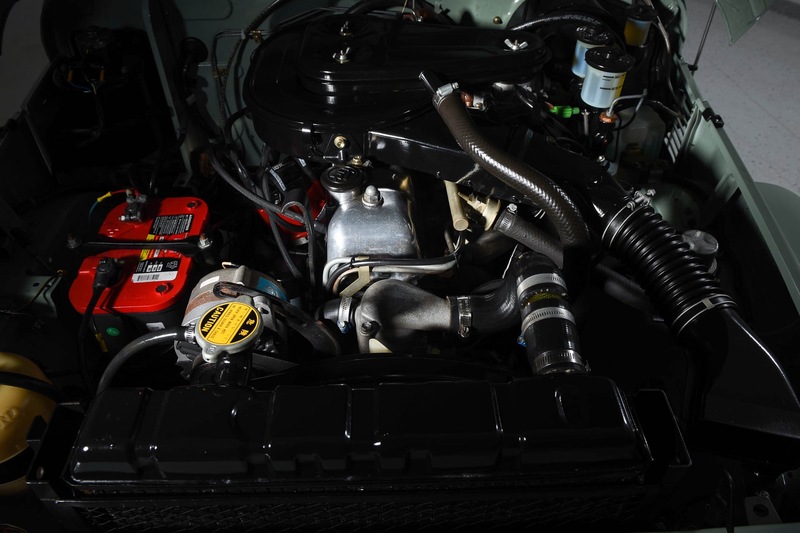 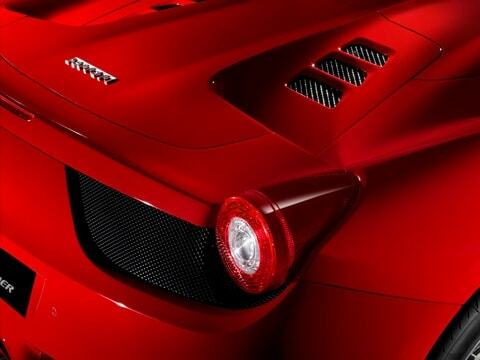 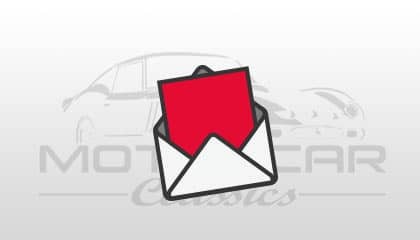 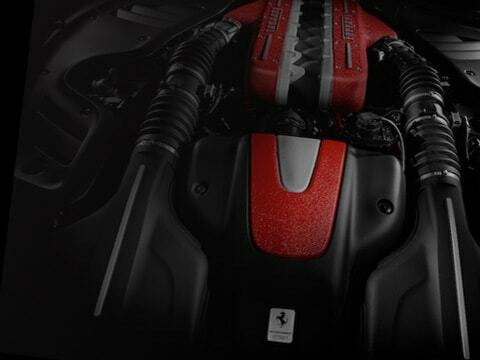 It features the 2F 4.2 liter engine with 135 horsepower and 210 lb-ft torque, a four speed transmission and a 4x4 drive train. 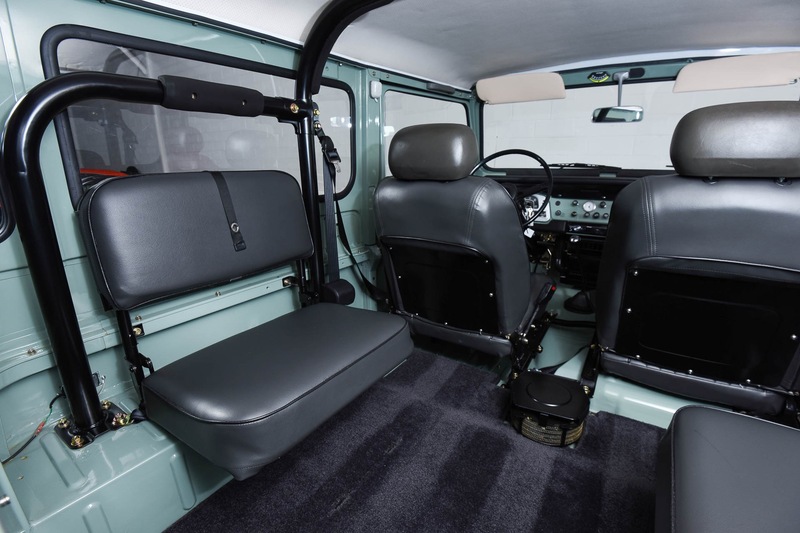 Features include removable hard top, fold down windscreen, floor shifter, roll bar, rear flip-down jump seats, rear heater, ambulance style rear doors, diamond plate trim kit, front bucket seats and cargo mat. 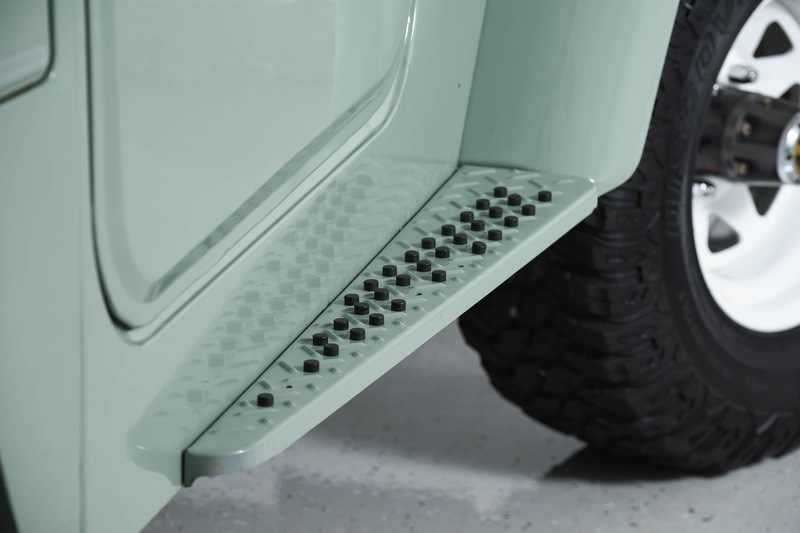 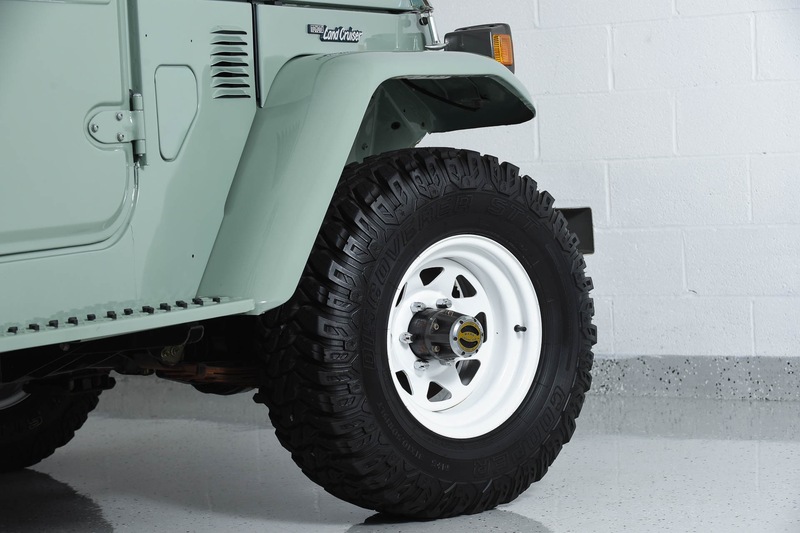 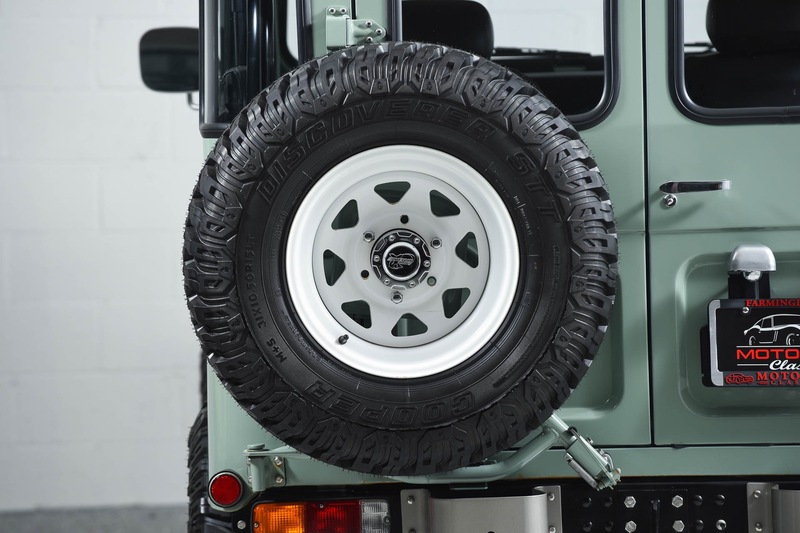 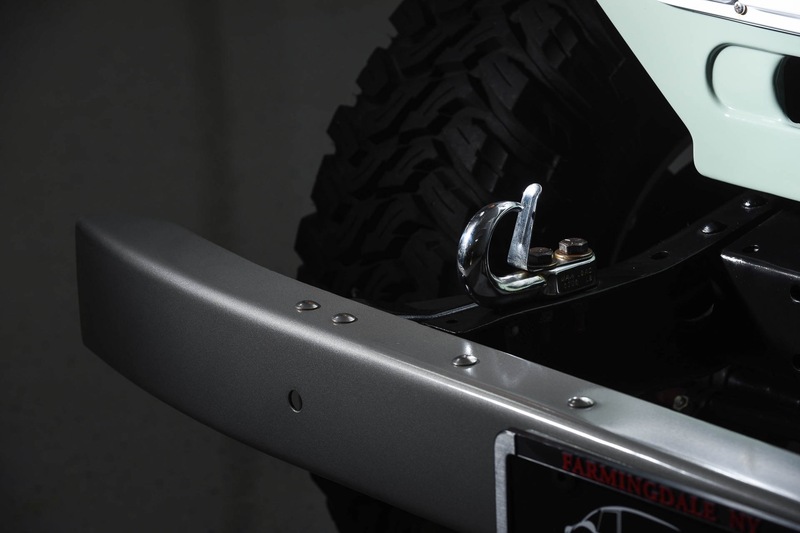 The FJ40 is also fitted with BF Goodrich All-Terrain tires mounted on the original style wheels.This FJ40 is a collector quality 4x4 that has undergone a very high quality complete frame-off nut and bolt restoration. 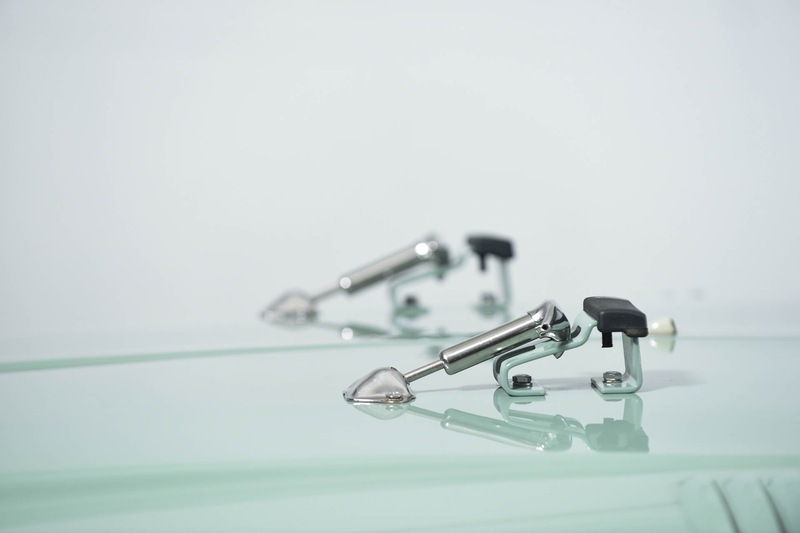 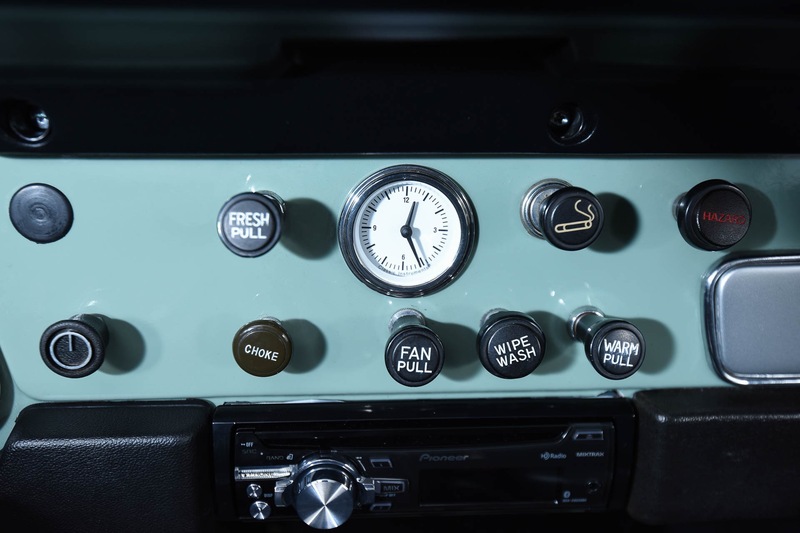 Everything has been rebuilt, refurbished or replaced with new. 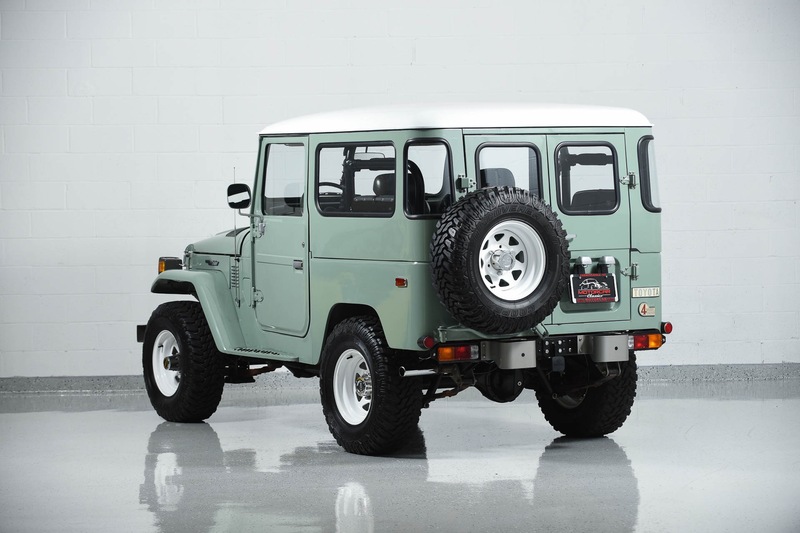 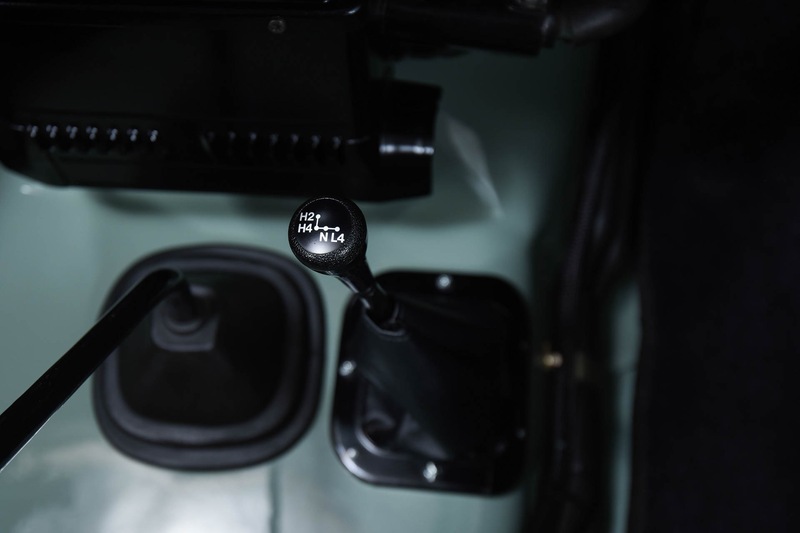 Power steering and power brakes have been added making this FJ a delight to drive. 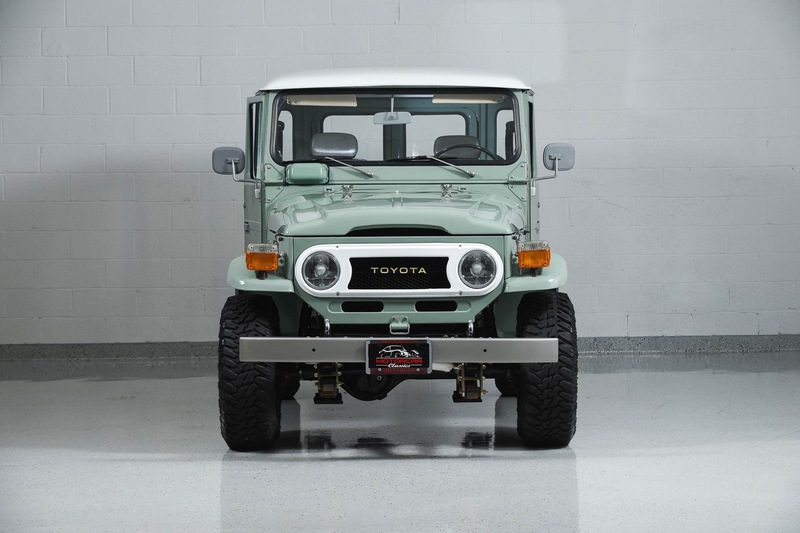 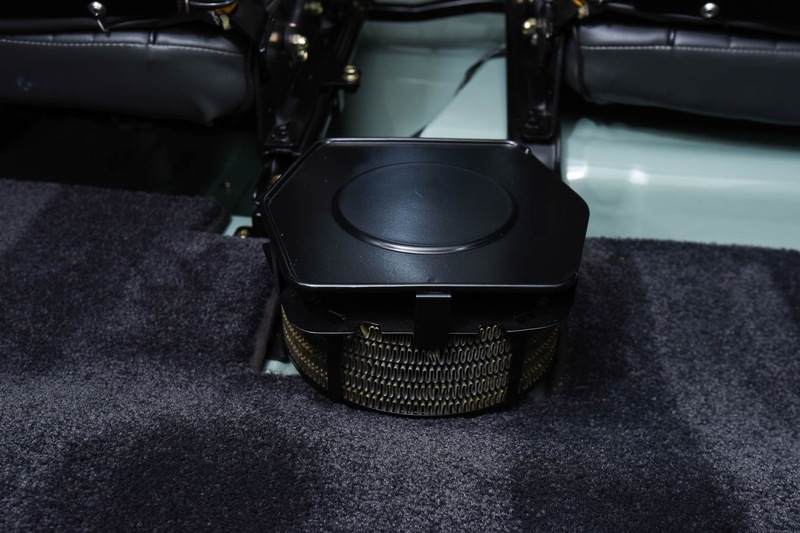 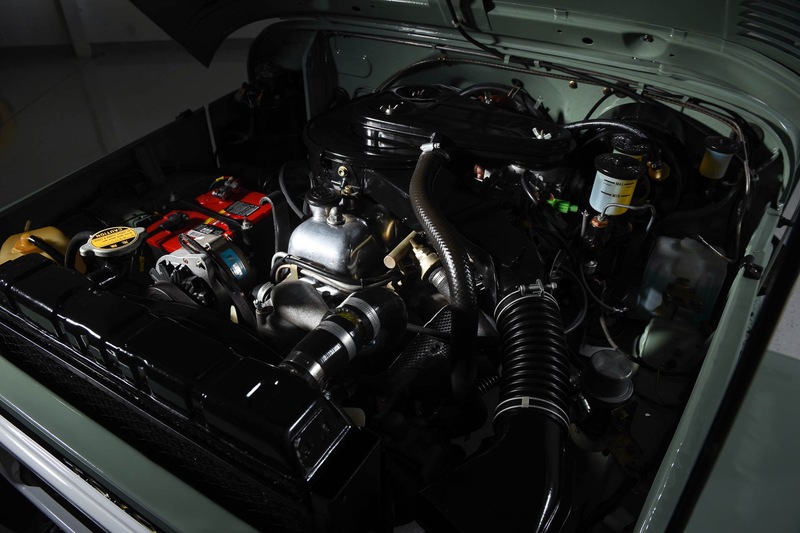 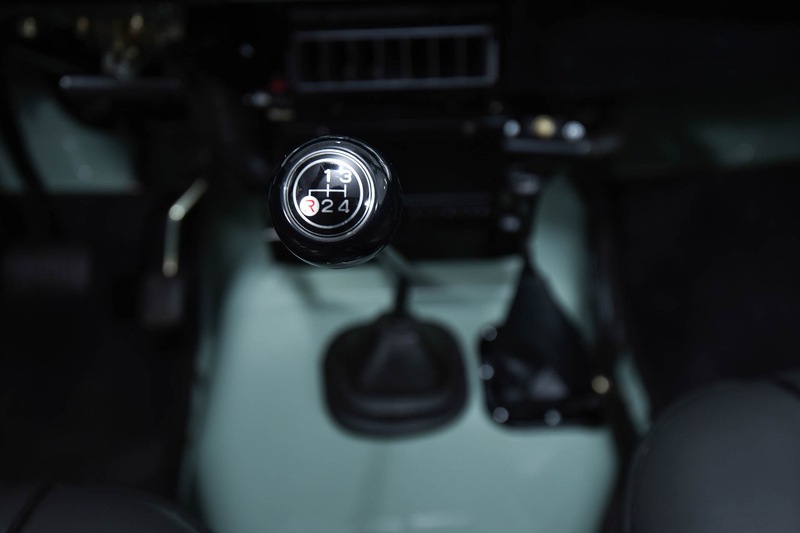 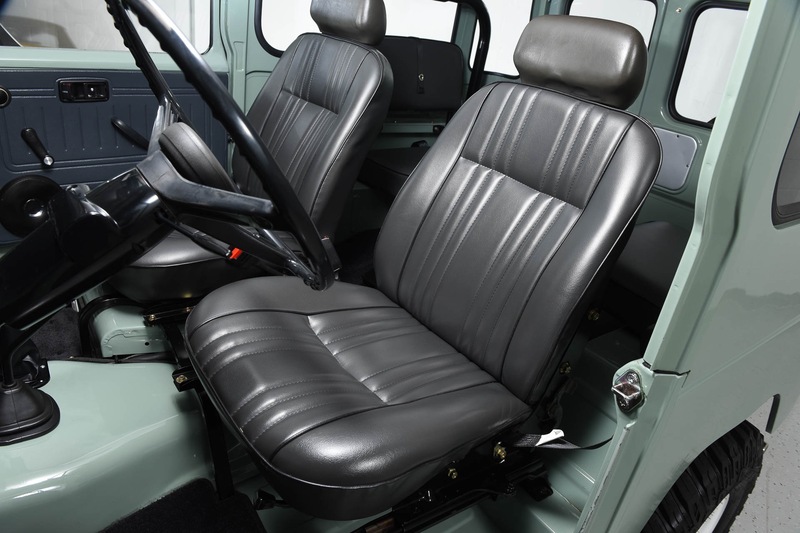 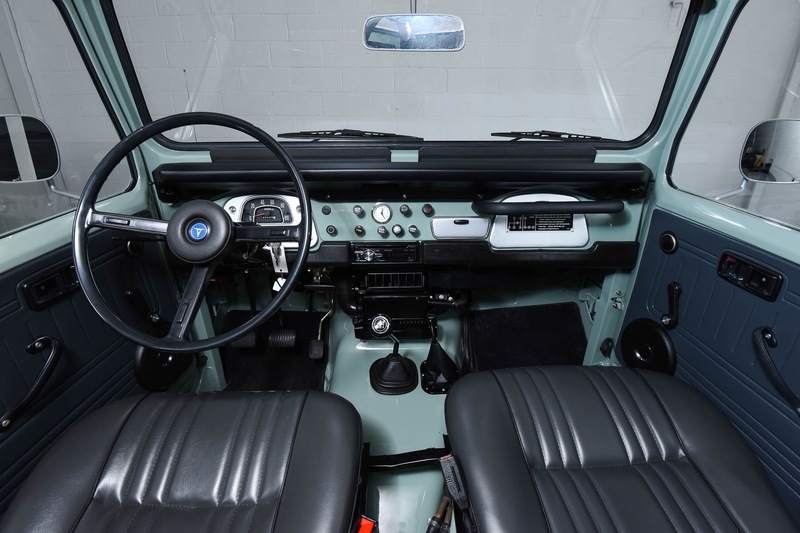 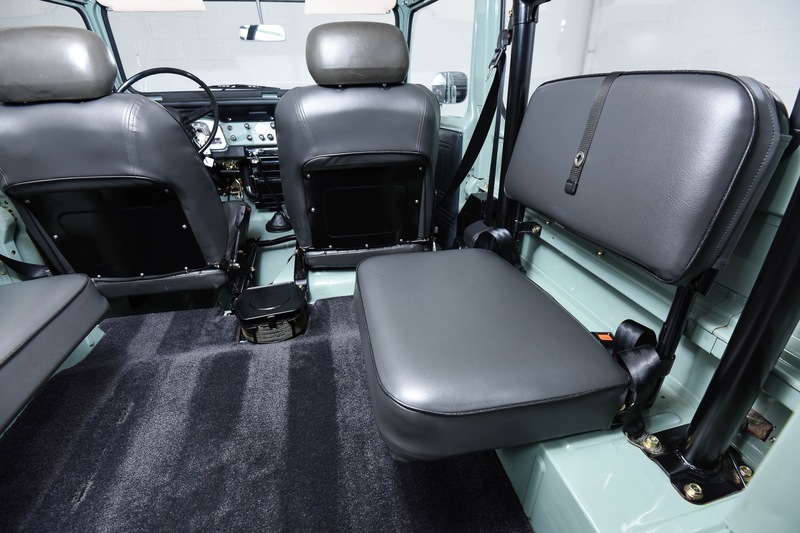 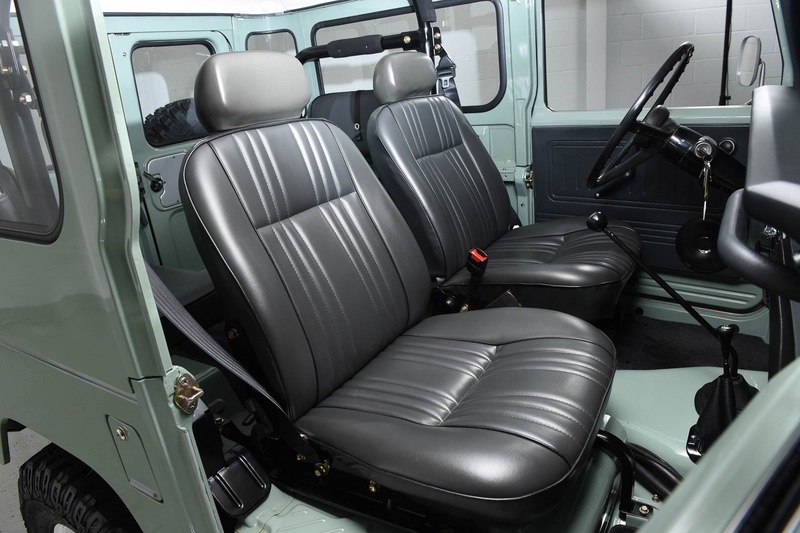 Our FJ40 looks brand new and is mechanically perfect. 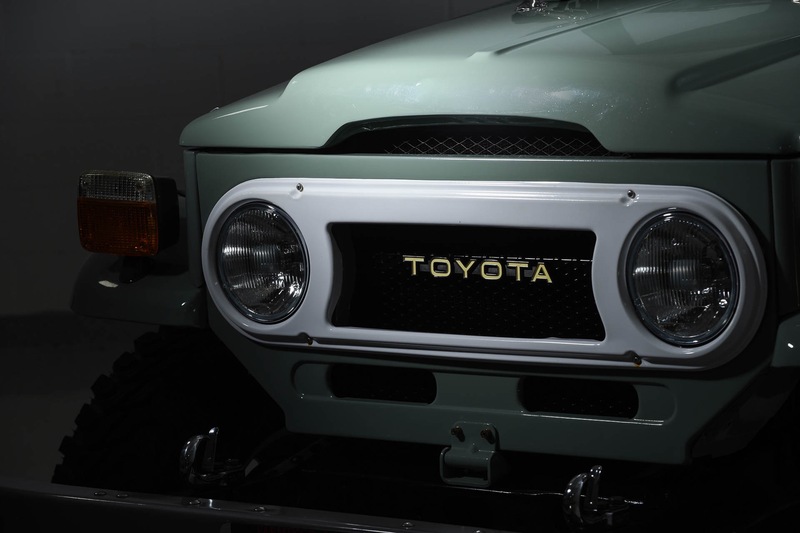 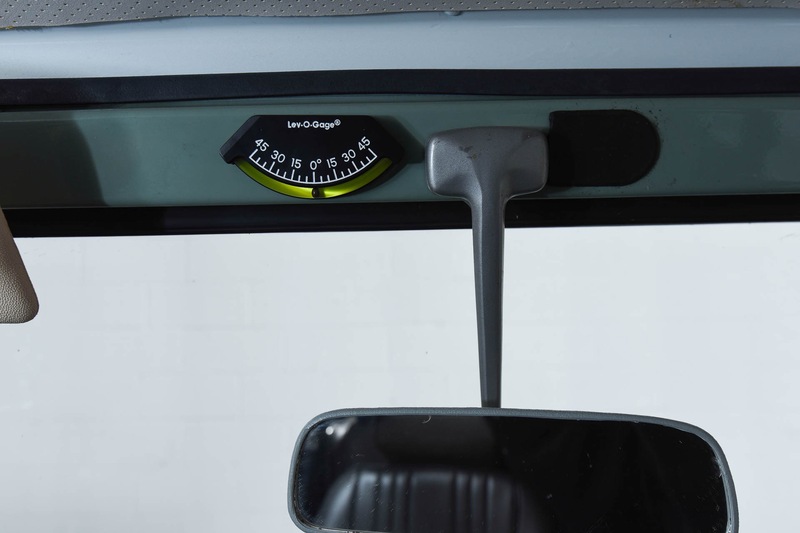 The odometer shows just 4,131 miles since the restoration. 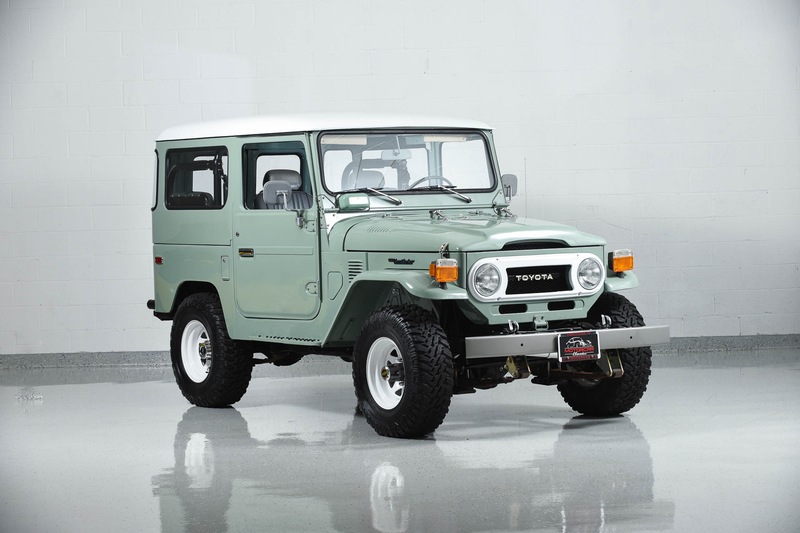 This Toyota is fully sorted and ready for your pleasure.